Whatever it takes to get your tie right! 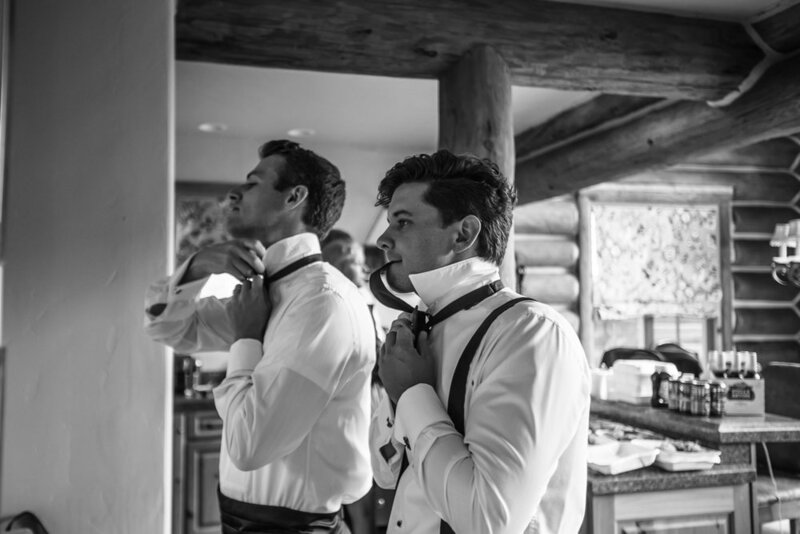 Mountain Lodge Telluride was the perfect place for the groom and groomsmen to get ready for their San Sophia wedding and Gorrono Ranch reception. They had plenty of room to spread out, eat, have some cocktails all while getting prepped. It's a beautiful place with unreal views!